Shopping is my cardio, no really I get a good workout. It's a thrill for me when I am shopping and find a great bargain. 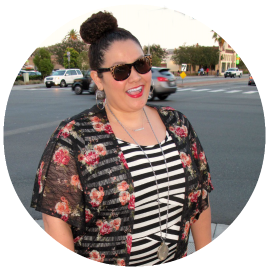 So I decide to do a shopping challenge on the blog. I have been wanting to do this for over a year now, and just never got around to do it. Well starting this month which happens to be my 5 year anniversary of the blog, (more on that later) I will do a monthly shopping challenge. 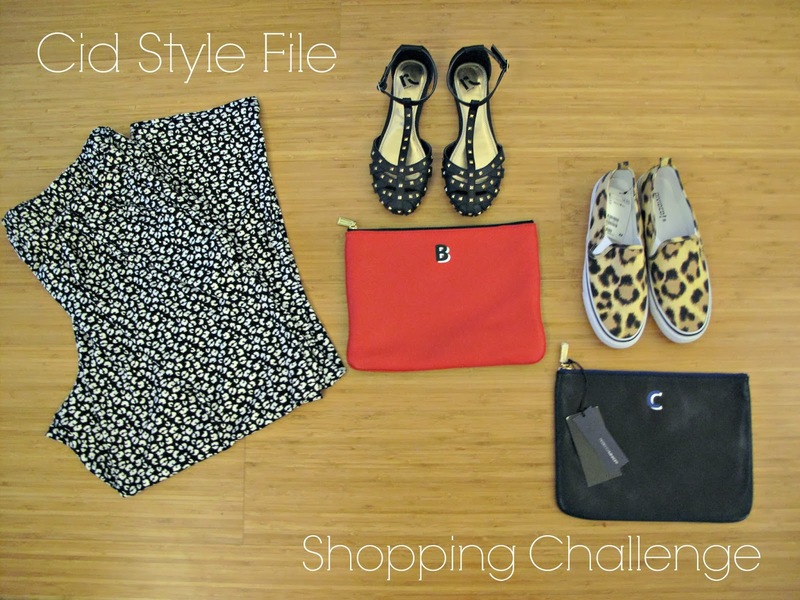 The challenge will consist of shopping on a $100 budget every month. 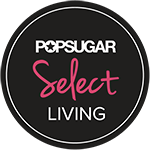 I will try to find the best deals and bargains around with out going over my $100 budget. I know it sounds like its easy to just spend $100 every month, but I don't plan to just buy cheap items at like Target or Forever21. Nothing wrong with shopping at these stores, because I do all the time. But this challenge is to prove you can find great quality, designer fashion at affordable prices. So now that you have an idea of what my shopping challenge is all about, lets get started with this months items. Above are the items I bought within the last month. I do have to admit, I did go over my $100 budget this month. After adding up all the items my total came out to about $110, which is not bad considering this is my first attempt. What did I get for $100 this month? I have been a fan of Rebecca Minkoff for a while, but most of her items a wee bit out of my budget. So when I found these pouches at the Nordstrom Rack, I was ecstatic! Immediately I grabbed both pouches from the clearance rack. The red tag was a clue these were already reduced even greater from the regular Rack price. I am always on the look out for those red clearance tags! The Jody monogram pouch retails for $95 each and is still available on the Rebecca Minkoff website for a reduced price of $65. I scored each monogram pouch for $31, which is about a 66% saving off retail. 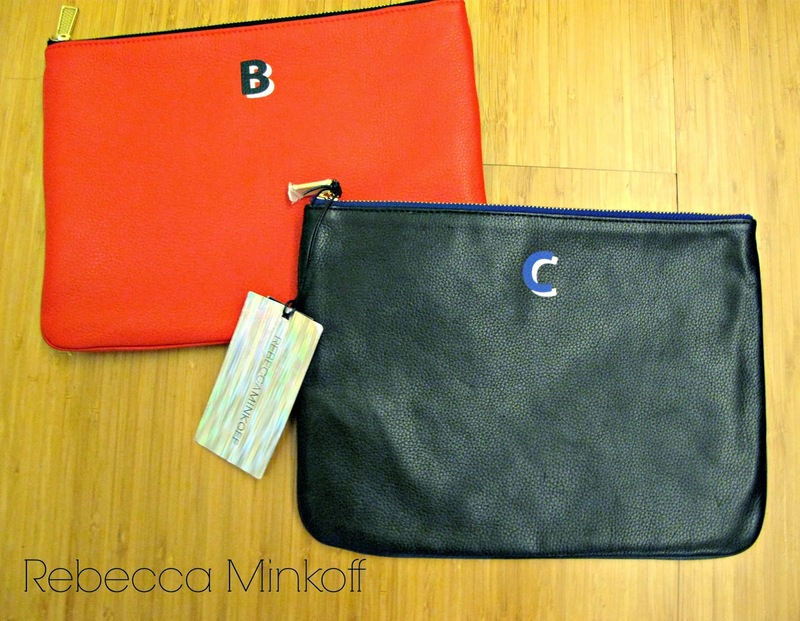 #WIN I had to buy both, the C for Cid and the B pouch for blogger. So that is about $62 of my $100 budget. I am already getting lots of good use out of these pouches. What else did I buy with the rest of my budget? Found some slouchy pants with an abstract animal print at Burlington's from Bobeau for $16.99. This brand is usually sold at Nordstrom and the price is about 50% off retail. The shoes are not really a big bargain find, but I love things with studs. The studded t-strap flats are from Report and I found them at Ross. Only paid $16.99, so for that price I couldn't resist a cute studded flat, for everyday use with pants, skirts and even shorts. Lastly I bought the leopard print slip on sneakers from H&M. If you follow me on Instagram you might have seen my picture asking which shoes to buy. I was debating between these leopard print or a snake print pair. After reading the comments and a couple minutes debating with my self, I had to go with the leopard print. For only $14.95, these canvas slip-ons are going to get some good use this spring. Who knows by summer time I may need a new pair. You can never go wrong with leopard print shoes! There you have it, my shopping challenge purchases. This month was a bit from February and some purchases from this month March. Next time I will update you with my April Shopping Challenge purchases. I did go a little bit over my budget, but over all very happy with my purchases. Make sure you follow me on instagram as I always post my finds while I'm out shopping. Follow me here (http://instagram.com/cidstylefile). 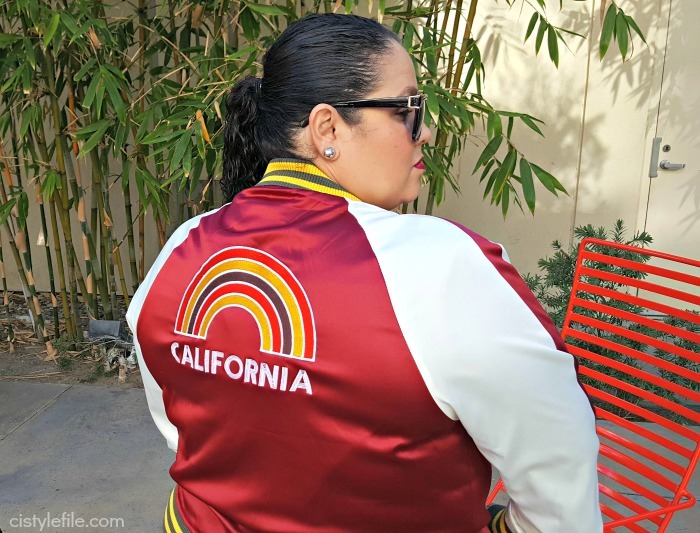 So what do you think of my bargain fashion finds? Are you a good bargain shopper? Great! I love the Pouches!! Sounds like a fun challenge. ACCEPTED! I'm a sucker for animal print anything. Those shoes were a great find!